As usual, I'm always trawling for different pattern and fashion ideas. I love those eureka moments when your eye catches something with a slightly different twist on an old pattern. 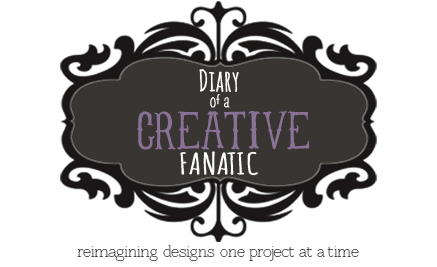 I learned, to my pleasant surprise, that a shawl can be much more than just a pretty shawl. 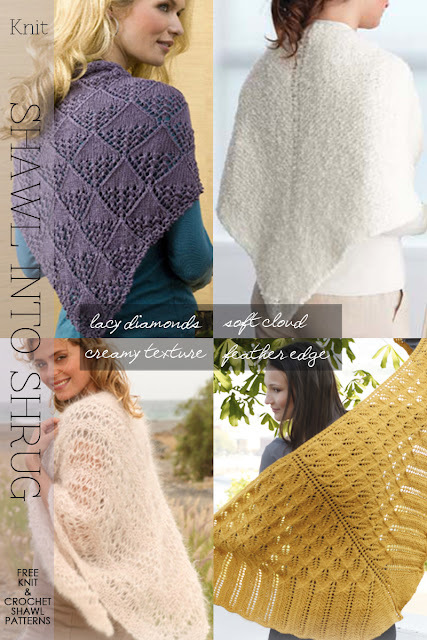 It's exciting to see an old standby pattern like a triangle-shaped shawl easily morph into a garment a little more stylish and up-to-date. 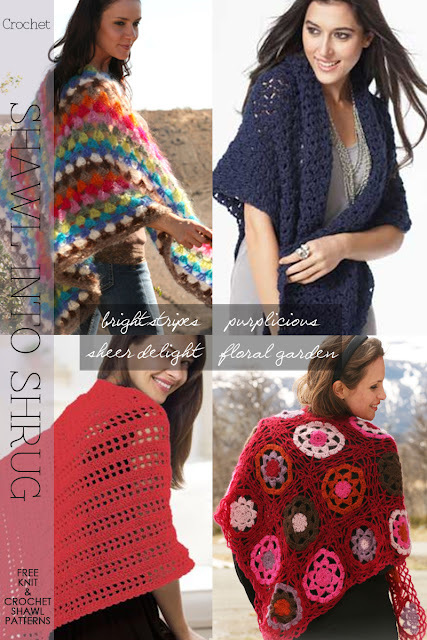 Somehow interesting patterns and shapes for shrugs call out to me, which is why this pattern applealed to me. Basically you are knitting or crocheting a triangle. The outer corners of the triangle are tacked down, a finishing knitted rib or crocheted edging around pulls everything together. Read further for instructions, finishing tips, free knit and crochet patterns with helpful tips on sizing. 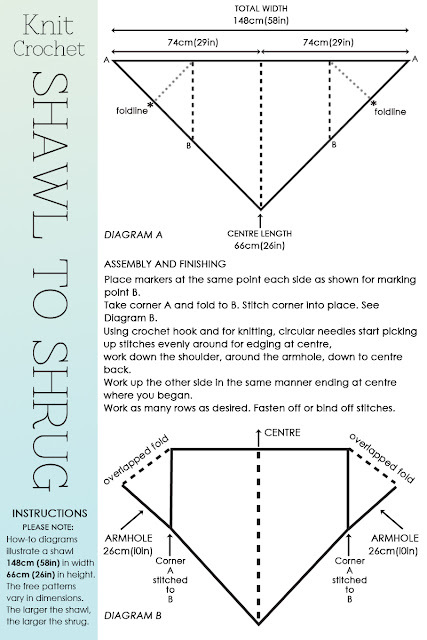 The schematics above of the shawl's shape give the dimensions of the Lana Grossa free pattern . Most of the free patterns featured below have finished widths that are close to the schematic dimensions. The difference might result in a slight difference in width of sleeve.